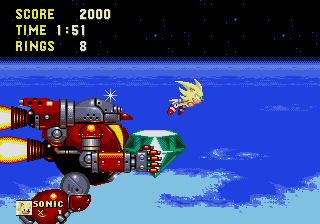 That game was Sonic the Hedgehog 4: Episode 1. And we all know how that turned out. Yes, rather unjustly in retrospect, it was the disappointing sequel to the classic Sonic trilogy that garnered the most attention in 2010. Instead, there was another, far better, far more memorable Sonic game released that year that deserved to receive the lion’s share of fan interest. Announced slap bang in the middle of the Sonic 4 hype, Sonic Colours – or Sonic Colors, for our American readers – was eternally in the shadow of its downloadable counterpart, with only a month separating the two games’ release dates in October and November respectively. 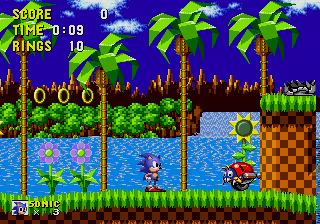 It’s understandable, of course – the game’s rather obscure title and lack of concrete gameplay details upon its initial reveal made Colours a bit of a harder sell compared to the prospect of a follow-up to Sonic 3 & Knuckles. Even I’ll admit, I thought Sonic Colours would be a puzzle or spin-off title when I first saw its announcement… but fast forward a few months, and it ended up being one of my favourite Sonic games of all time. Whereas Sonic 4’s hype train went out of control before well and truly coming off the rails, the more quiet and subtle excitement surrounding Sonic Colours actually worked in its favour. When the astonishingly good reviews came rolling in – that all important first score of 86 from NGamer and an 8.5 from IGN, to name but a couple (let’s just forget that 4.5 from Destructoid though, eh?) – it caught us all by surprise and made us appreciate the game even more. It not only surpassed Sonic 4, it trampled all over it and gave us the first genuinely good Sonic experience in years. Say what you want about the game, but you cannot deny that Sonic Colours set alight the hearts of several fans and critics again after oh so long. So what was it about the title that sparked off such acclaim? Well… a bit of everything, really. Presentation-wise, Colours definitely delivers on its title – this is a bright, quirky, visually appealing adventure that really pushes the graphical boundaries of the Wii to their limits. 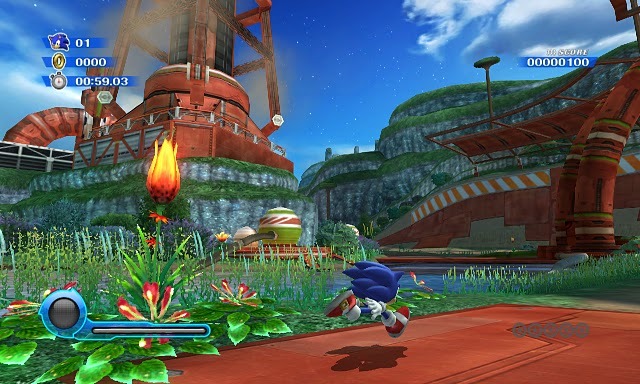 While we’ve since seen the likes of Planet Wisp and Starlight Carnival recreated in high definition in Sonic Generations and Sonic & All-Stars Racing Transformed, their original incarnations still hold up beautifully on Nintendo’s last-gen system. What really stands out about Colours though is its sheer imagination, fusing recurring Sonic tropes into entirely fresh new locations such as the tropical casino aesthetic of Tropical Resort and the watery Chun-Nan that is Aquarium Park. Despite being a modern 3D title, Colours captures the vibe and essence – and, dare I say it, magic – of the classic era better than ever before (arguably better even that Sonic 4 did), to the extent that famous badniks like Motobugs even make their long-awaited return with a few new twists of their own. 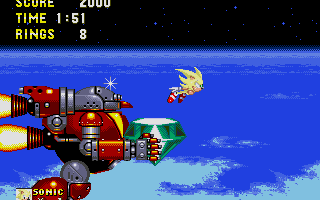 Musically, the soundtrack is also up there with the finest in the series – and that’s an impressive feat considering how consistently brilliant Sonic music tends to be (Chronicles notwithstanding). Almost every tune is a joy to listen to, ranging from the adrenaline-pumping sounds of Terminal Velocity to the gentle and serene Planet Wisp tracks. It’s also the last time we had a vocal song as the main theme of a Sonic game – can you believe it’s been four years already? – and, while Cash Cash’s Reach For The Stars and Speak With Your Heart aren’t to everybody’s taste, they’re serviceable enough and undeniably catchy for those who want to sing along as the credits roll. Most importantly, Colours nailed the gameplay. 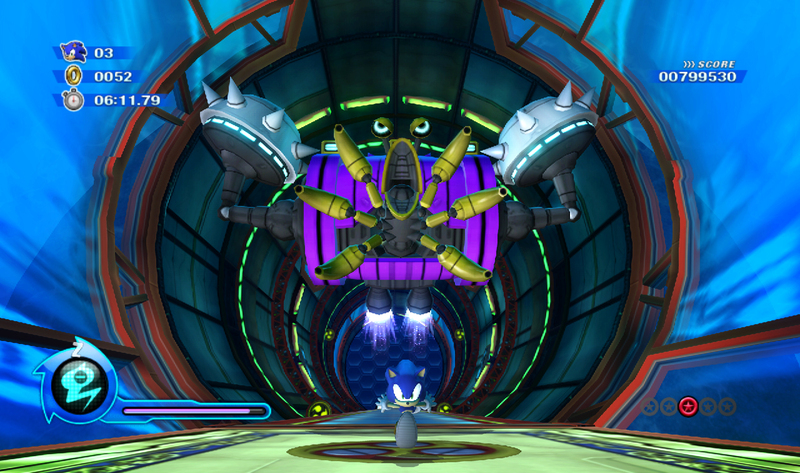 Taking the day stages from Sonic Unleashed as a basis, cutting out all of the nonsense like medal hunting and Werehogs, every stage was a high octane blast of speedy Sonic fun. The level design is top notch with some hugely enjoyable courses to overcome right from the off – there’s no messing around with opening cutscenes or tutorials, you press Start at the title screen and you’re straight into Tropical Resort Act 1. It’s a platformer at its most straightforward – clear one level, move onto the next, rinse and repeat until you face off against the world’s boss, then move onto the next area – and it’s all the better for it, with nothing to get in the way of the fun and preventing it from becoming sidetracked by anything unnecessary. It’s the Wisps that really steal the spotlight here though. Before 2010, if you heard the words “Sonic” and “gimmick” in the same sentence, you’d shudder in horror. Fishing, treasure hunting, guns, motion controls, stretchy armed brawling, talking swords… you name it, Sonic had probably tried it, often to disastrous effect. 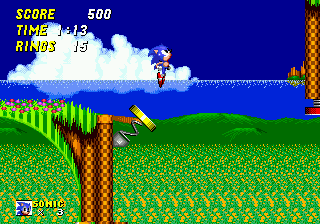 But the Wisps did something that none of these other gimmicks were capable of – adding to the basic Sonic gameplay rather than detracting from it or outright replacing it. 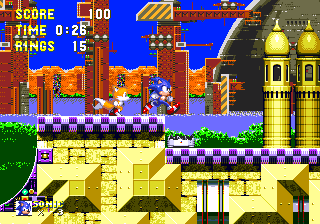 Each of the different coloured Wisps grants Sonic a new kind of Colour Power to utilise as he traverses his way through a level, be it a quick-firing laser, the ability to hover, or a drill to dig through the earth (or cake, if you happen to be in Sweet Mountain). Each is a bite-sized burst of fun, never outstaying its welcome and often leading to some previously unexplored section of a stage. In a game where the gimmicks are almost entirely optional, you’ll be actively wanting to use them more than ever, going back to previous locales to seek out those hidden Red Rings you missed first time around because you hadn’t unlocked the right Wisp yet. They’re a joyous addition, and it’s a shame that they were used much less gratifyingly in their comeback appearances in Generations and Lost World. This isn’t even scratching the surface of what Colours brought to the table – a brand new voice cast featuring Roger Craig Smith in his Sonic debut (if you conveniently ignore Sonic Free Riders, as most people do), a more simple and streamlined narrative focusing on just Sonic and Tails rather than the cavalcade of sub-par sidekicks seen previously, the infamous Eggman P.A. announcements, and the first time we’ve seen Super Sonic playable in regular levels in a 3D game. It was a total shift for the Sonic series, both tonally and reception-wise, and it was just the ticket to dig the hedgehog out of the hole he’d dug himself into over the preceding years. All praise aside, it’s not the perfect Sonic game – there’s some awkward difficulty spikes, it’s only a few hours long, and the story is rather minimal with some love-it-or-hate-it scripting – but it’s by far the most original entry we’ve seen in the franchise in recent memory, Generations included. 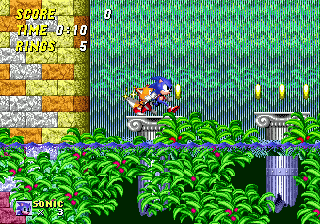 There’s a certain magic and a certain joy that I get from playing and looking back on Sonic Colours, and that’s something that’s distinct from any other entry in the franchise. 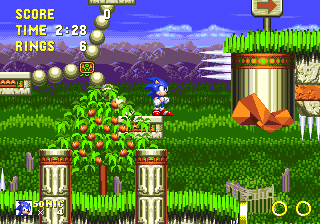 In this uncertain age where Sonic is once again descending into mediocrity, it’s enlightening to remember that once upon a time, when even the most promising of projects led only to the bitterness of disappointment, a game like Sonic Colours came along out of nowhere and revitalised the series in a way no one expected. Who’s to say that lightning can’t strike twice…? 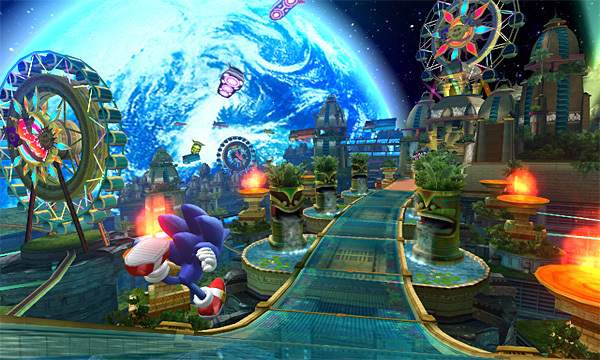 And, if nothing else, it proves that Sonic can do Nintendo exclusivity right when it puts its mind to it. Sorry Lost World and Boom, but you’ve got nothing on this gem. 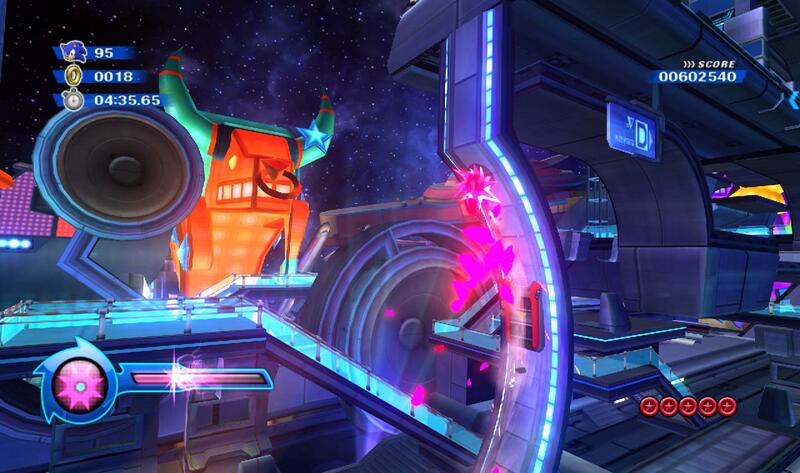 With Sonic Colours, SEGA reached for the stars – and boy, did they come close. Four years on and the colours still seem as right and as bright as they ever did. Long may they continue to shine. What are your feelings and memories about Sonic Colours? We’d love to know your thoughts too, so sound off in the comments! Don’t fall apart, speak with your heart! SEGA Mag reports that French TV channel Game One will soon be airing an exclusive TV retrospective documentary looking back at the 20 year history of SEGA’s Sonic the Hedgehog franchise. No other details have been shared, but it should give us an insight into how SEGA’s mascot has grown into such a success since 1991. The documentary will air Wednesday, November 2 at 2:35 pm CET, which will be 1:35pm on the same day here in the UK. Jim Sterling of Destructoid is a funny man. His video series, “The Videogame Show What I’ve Done,” is the perfect parody of bad YouTube video game reviews, right down to the Windows Movie Maker titles. In this episode, Sonic stops by to take a look at his past games. Game Tap give four part Sonic Retrospective on Youtube! SSMB user ‘Ultrasinc‘ alerted the forums earlier today with news of a new Sonic the Hedgehog Retrospective video by downloadable game provider, ‘Game Tap.‘ The video itself consists of four parts, all of which are uploaded to Youtube for your viewing pleasure. The fantastically made retrospective has some extremely interesting information- some of which is completely new. For example, did you ever know that Sonic’s shoes were based off Michael Jacksons boots from the front cover of his ‘Bad’ album? And that the colour of them was inspired from the worldwide known figure, Santa Claus? Game Tap interview the likes of Naoto Ohshima, Yuji Naka and a large variety of other developers and project managers from along the years as they discuss how SEGA of America took to the little blue critter, his changes of appearance and why he became so popular.